From Hungary to California or from Saudi Arabia to Antarctica. In our last blog of 2017 we want to show you some places on Earth & take you back to some major events that took place over the past 12 months. 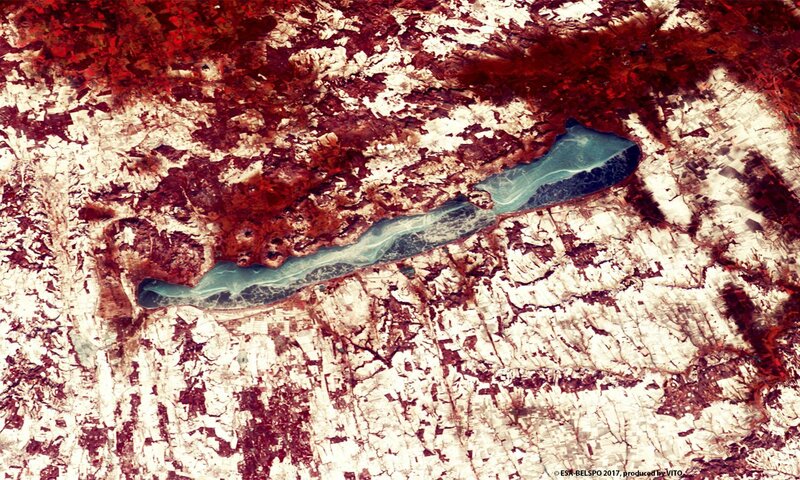 Lake Balaton, the largest freshwater lake in Central Europe, was completely frozen over in the beginning of 2017, for the first time in more than 10 years! PROBA-V spotted the 592 km2 of 20-30 cm thick ice on the 21st of January. Lake Balaton is one of Hungary’s foremost tourist destinations. Visit the PROBA-V website at http://proba-v.vgt.vito.be for the Lake Balaton time-lapse. At the start of February 2017, the Oroville Dam main and emergency spillways were damaged because of significant storms and flooding in California. Northern California saw its wettest winter in almost a century. More than 180,000 people living downstream along the Feather River were evacuated. At 235 m, Oroville Dam is the tallest dam in the United States. Located in Butte County about 110 km north of Sacramento, the dam impounds Lake Oroville, and controls the flow of the Feather River. Visit the ESA Earth Watching website for more information. On January 20, 2017 all eyes were on the United States Capitol Building in Washington D.C. as Donald Trump was inaugurated as the 45th President of the United States. 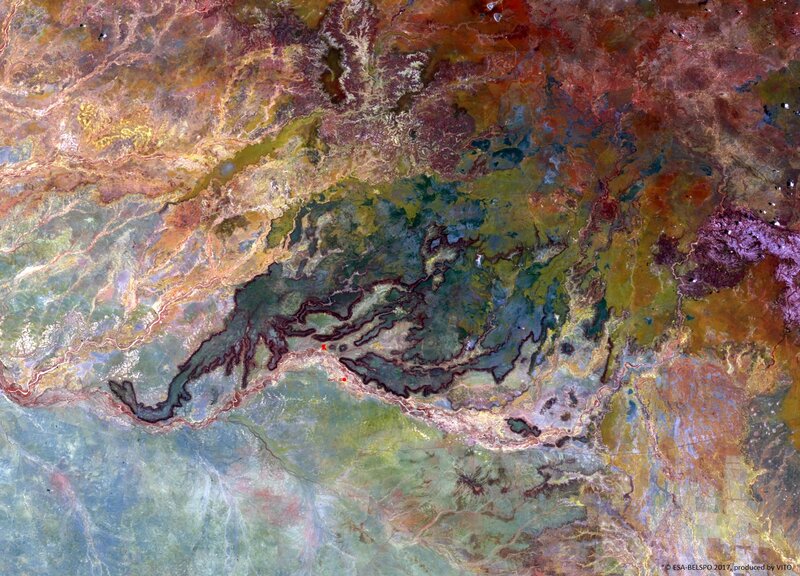 This 100 m PROBA-V timelapse of 100 m PROBA-V imagery shows the almost breathing agricultural area of Wadi as Sirhan Basin in Saudi Arabia from March 2014 till May 2017, highlighting the irrigated fields in red, in sharp contrast to the surrounding, yellowish desert sand . Notice the growing amount of fields in the northeastern region over the course of the last three years. Click here to view more PROBA-V time-lapses. Pivot irrigation in Saudi Arabia for global food security from VITObelgium on Vimeo. 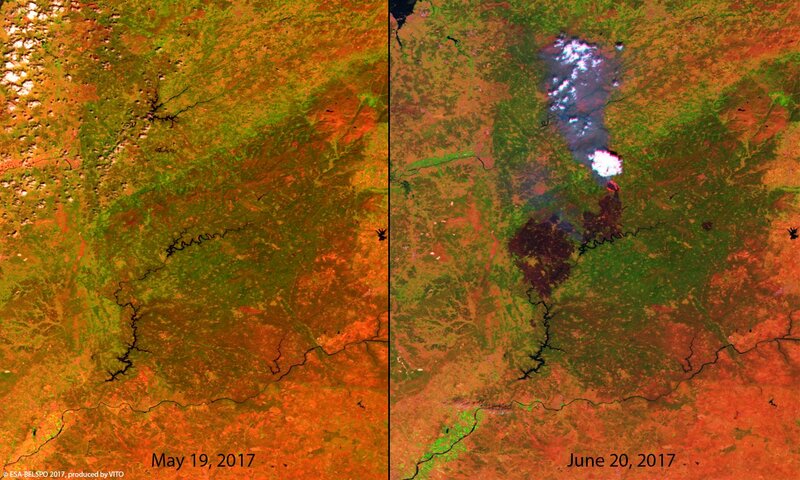 These PROBA-V images of May 19 and June 20, 2017 show central Portugal and the damage caused by massive wildfires killing at least 64 people, with dozens more injured. A smoke plume is visible on June 20th, while the dark-red patch in the middle part the image indicates the area that has been burned down by the fires. Lightning is the suspected cause of the blaze in the forested Pedrogao Grande, about 150 km northeast of Lisbon. 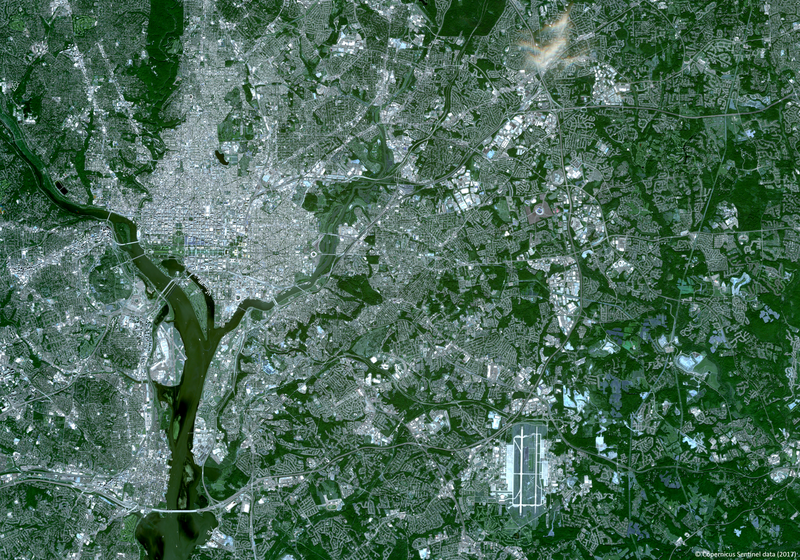 For more PROBA-V images, you can visit the PROBA-V online image gallery. Witnessed by the Copernicus Sentinel-1 mission on 12 July 2017, a lump of ice more than twice the size of Luxembourg broke off the Larsen C ice shelf, spawning one of the largest icebergs on record and changing the outline of the Antarctic Peninsula forever. Images from 16 September show that there is a gap of about 18 km as the berg A68 appears to be turning away from the shelf and drifting out to sea. In August 2017, the United States faced the wettest tropical cyclone on record in the US, hurricane Harvey. It was the first major hurricane to make landfall in the United States since hurricane Wilma in 2005. Hurricane Harvey caused unprecedented and catastrophic flooding in southeastern Texas, flooded hundreds of thousands of homes and displaced more than 30,000 people. The 2017 Atlantic hurricane season was hyperactive and extremely destructive, featuring 17 named storms. The left image was taken by ESA astronaut Paolo Nespoli from the International Space Station August 24, 2017. The Copernicus Sentinel-3A image on the right shows the temperature at the top of Hurricane Harvey on 25 August 2017 at 04:06 GMT as the storm approached the US state of Texas. China is the global leader when it comes to producing solar power, and the country is showing no signs of slowing its progress in investing in renewable energy. 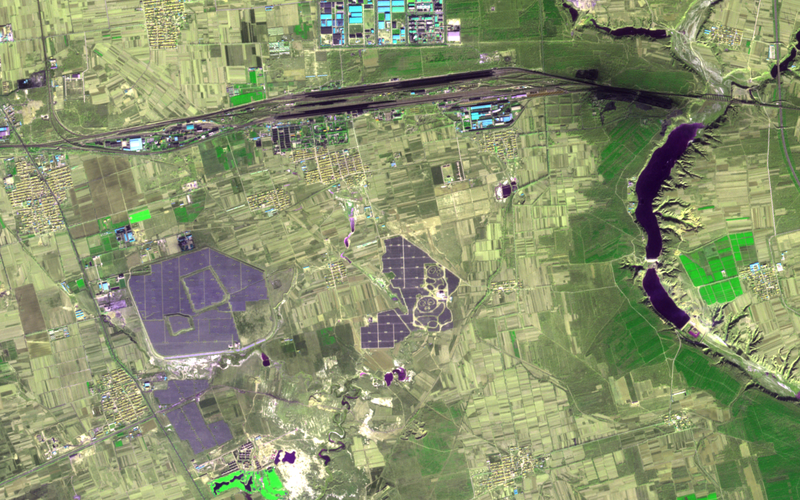 In the first half of 2017 the Panda Green energy’s panda power plant was connected to the grid of Datong, Shanxi province in northeast China. The plant hosts an estimated 1,500 acres of solar panels of which hundreds have been arranged to resemble the country’s most popular animal.